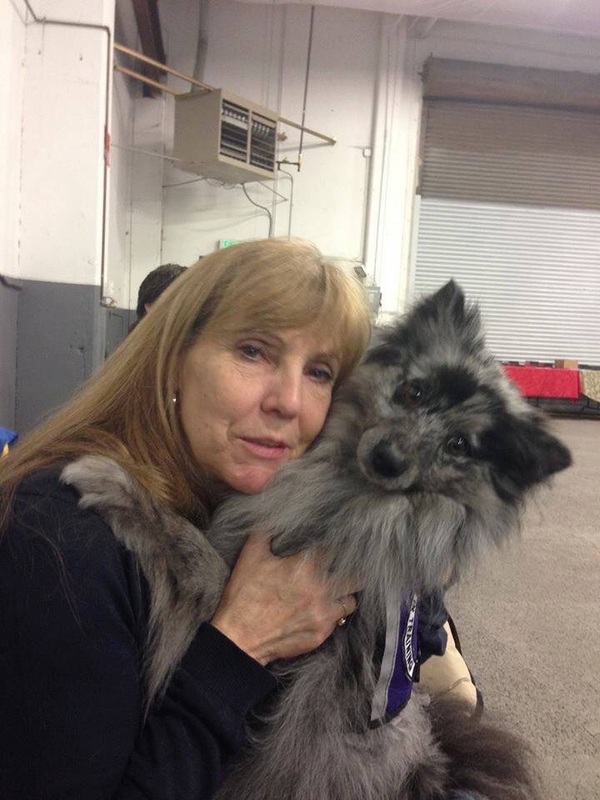 Many of you know Cindy through her work with Animal Crisis Response teams and especially through Tikva. She is an inspiration to many of us. On Monday, Cindy was in a serious car accident and lost her service dog, Zippy. Zippy was not just Cindy's service dog but also a Therapy dog and a Certified Crisis Response Dog. This loss, coming so soon after Tikva went to the bridge, has been devastating to Cindy and broken the hearts of many who love and admire Cindy. So many of you have reached out with offers of help in helping Cindy recover. She has two big needs right now. 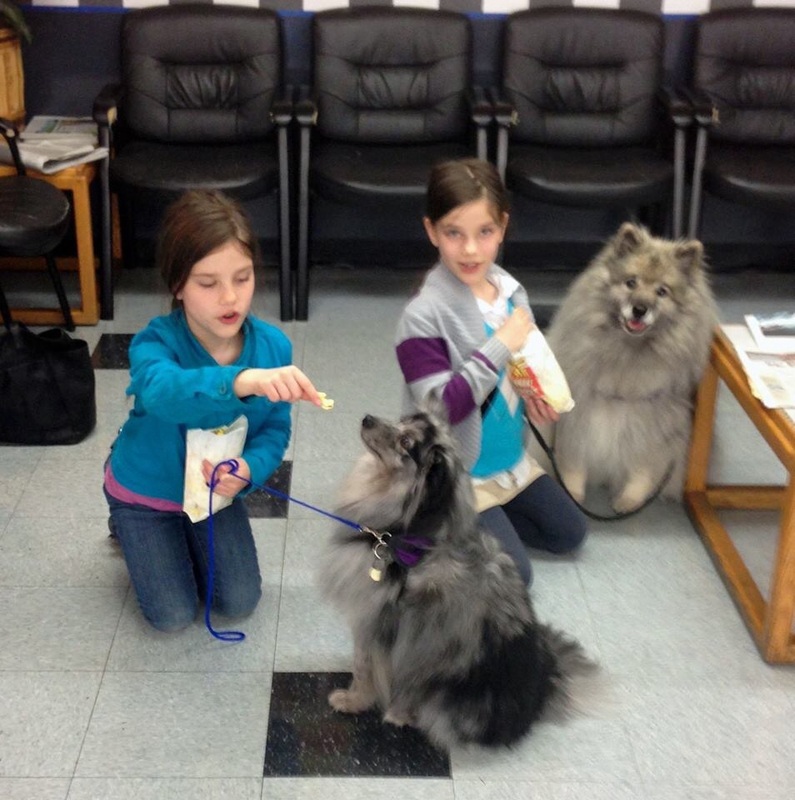 One, getting a new Keeshond puppy to train as a service dog, is being taken care of by a kind Keeshond breeder. 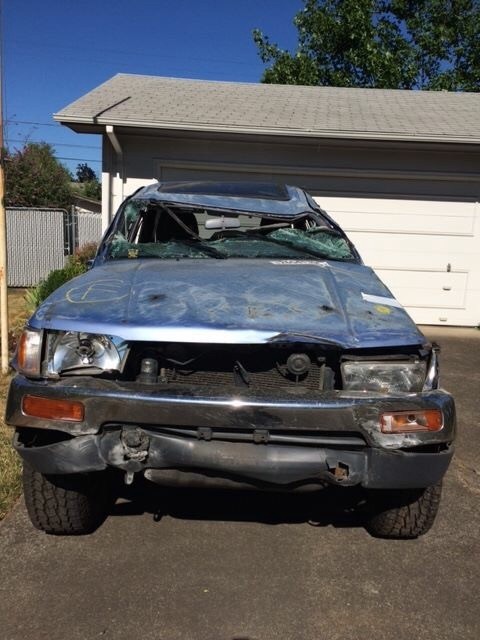 The second need is for funds to cover replacing her 4 Runner. A used vehicle with high mileage will run 8-10,000 dollars and they expect about $2000 from insurance. We are at $5000. Let's keep giving. This post is in honor of Zippy.
" I got Zippy from the shelter in 2011 when he was about 6-8 months old. I planned on fostering him until he got adopted. He was very naughty but I noticed how friendly he was and started his training to be a therapy dog. Zippy visited John Serbu youth correctional facility, River bend Hospital and recently Sacred Heart behavioral. In October of 2014 Zippy became a certified crisis response dog. In March of this year, he went on his first call-out in WA. In May he traveled with me to Baltimore, MD. While there, we were asked to be on the de-briefing team for the Baltimore City Police. He will be missed by many, but most of all, me. 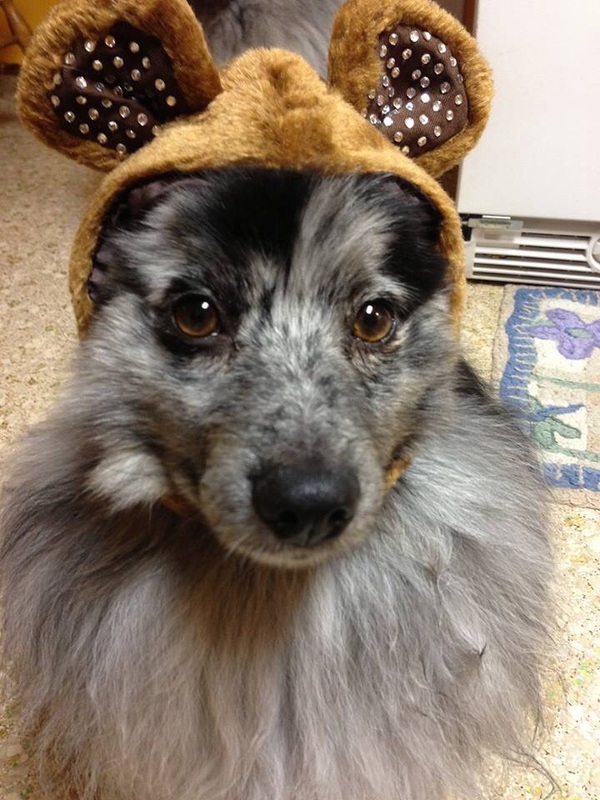 When you adopt a dog or puppy from the shelter, the possibilities are endless." Here is Cindy's car after the accident. It is sitting in her driveway waiting to be replaced. It has been three and-a-half weeks since Cindy's accident. She continues to heal day by day, both physically and emotionally. She is undergoing more testing to check on continued thoracic pain as well as short term amnesia. Her totaled 4Runner - her trusted 'Big Blue', which she's had for almost 20 years! - is sitting in her driveway. She and Norm hope to find a buyer, who will come and haul it away and use it for parts, in the near future. They continue their search for a suitable replacement within their price range. 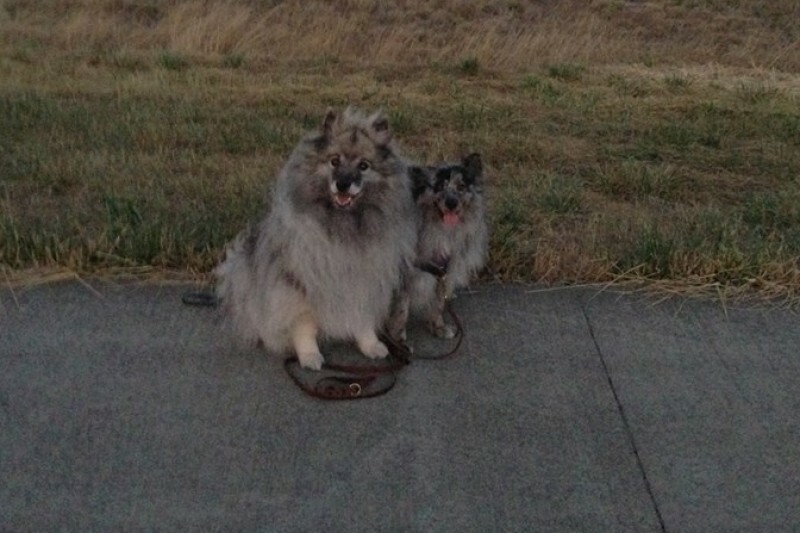 Cindy will be taking home her new Keeshond puppy, gifted from Cedar Hills Keeshonden, this weekend. It is a very bittersweet moment for her, but she is incredibly grateful to Teresa Cook for this amazing gift. She is also overwhelmed with the generosity of everyone who has donated to this fund. Thank you all so much. Every gift gets her that much closer to getting her wrecked Toyota out of her driveway and putting something drive-able in its place. I am overwhelmed with gratitude. A heartfelt thank you to everyone for your generosity to help me replace my 4Runner so I can start volunteering again and continue with Shai Yah's socialization and training to become a therapy and crisis response dog. For all the rescue keeshonden I've known and loved, I admire your heart and your work. Made in memory of Ron Spaulding. Cindy, thank you for all you give and all you do. In memory of your beloved Zippy.